Hanwha Chemical Corporation, a major Korean petrochemical company, produces polyvinyl chloride (PVC), vinyl chloride monomer (VCM), low-density polyethylene (LDPE), and other products. In 2009, the company acquired three plants from OCI Co., Ltd. that produce phthalic anhydride (PA), plasticizer (PLS), and maleic anhydride (MA) for both the domestic and international markets. Hanwha is continually striving to introduce new technologies that will help attain operational excellence and improve product quality. The high cost of replacement parts and software modifications for a legacy control system together with the desire to improve availability motivated Hanwha Chemical to replace the system at one of the acquired plants with a Yokogawa CENTUM CS 3000 distributed control system (DCS). 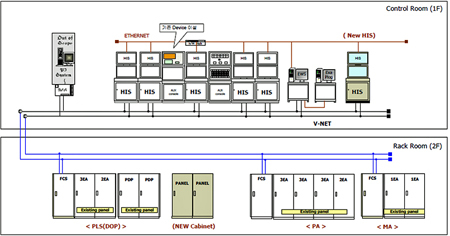 The existing system included one engineering workstation (EWS), three controllers for PA, MA, and PLS, and five graphical user stations (GUS) within the same control network. There were approximately 2,000 I/O. The new control system configuration is shown below. Replacement of hardware and conversion of software were complicated processes requiring careful coordination and teamwork by the Yokogawa Korea and Hanwha Chemical personnel assigned to this migration project. While all field wiring could be kept as is, the terminal boards, I/O cards, and controllers all had to be replaced. On the software side, all existing software needed to be converted over to the CENTUM CS 3000. An engineering tool was first used to convert the system database, then the graphic displays, control drawings, and sequence logic were all converted. Working together as one team, Hanwha Chemical and Yokogawa Korea project personnel completed all configuration work for the new CENTUM CS 3000 system in just four months. 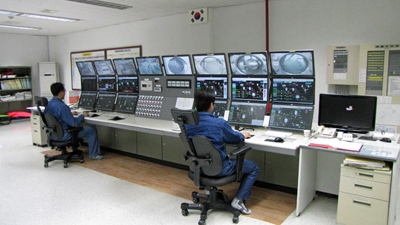 All functions were subsequently confirmed with a factory acceptance test (FAT) at Yokogawa Korea's Seoul facility. This replacement and conversion dramatically improved system availability to 99.99999% and automated 90% of the plant's operations, which previously had been all manual. To prevent any disruption in product deliveries, it was essential for Hanwha Chemical to minimize the amount of time this plant would have to be kept shutdown for the hardware installation and system cutover work. Working together, Hanwha Chemical and Yokogawa Korea project personnel completed this work on time and on schedule, in just 12 days. And to ensure a smooth transition to the new system, all plant operators and engineers received two weeks of comprehensive hands-on training on a demo machine at the Yokogawa Korea Training Center. As they already had 12 years' experience working with older Yokogawa systems at the company's other plants, they all soon were comfortable with using the new CENTUM CS 3000 DCS. With the legacy system, operators often had to make manual adjustments and batch times varied considerably depending on how experienced an individual operator was. This drove up labor costs, in addition to having an impact on productivity and product consistency. Thanks to the new CENTUM system's improved graphic displays, operators have a much better grasp of what is happening throughout the plant and errors have been almost completely eliminated. As a result, automated batch operations are much more efficient and labor costs have been brought down by over 30%. From an EWS in the central control room, engineers can easily make and confirm modifications to the system configuration. Modifications can be uploaded to the system without having to shut down the controller. The Ulsan plant uses a lot of water, steam, and electricity. Thanks to the improvements that were achieved with the new control system, this plant has reduced its utility costs by approximately 5% over the past three years. According to J.K. Choi, senior manager & head of the plasticizer production team at the Ulsan plant, "Our operators were worried about the new DCS because they had been using the legacy system for 12 years. 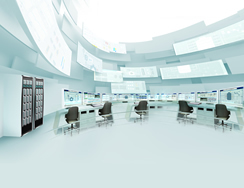 But the Yokogawa system has proven to be user-friendly and it has operational benefits. Thanks to the Yokogawa system, our operators have become more skillful in our batch process." He went on to say, "We are very happy with Yokogawa's DCS and service support. Of all the DCS vendors in Korea, Yokogawa's service is the best."